Allena Brazier, fall 2018 Katherine Dunham Fellow. 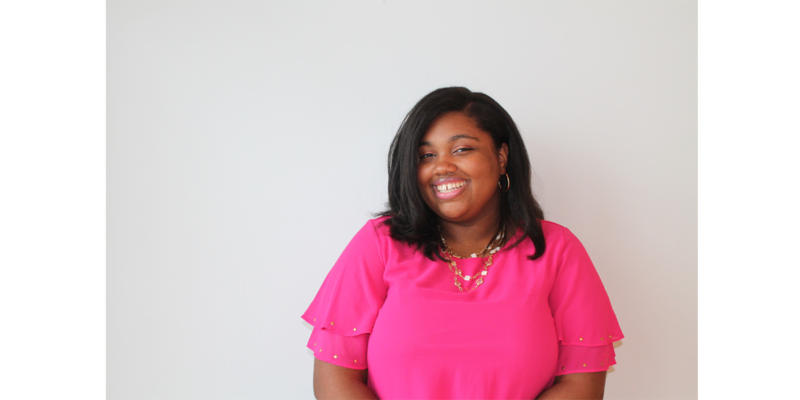 The Arts and Education Council (A&E) has named Southern Illinois University Edwardsville student Allena Brazier the fall 2018 Katherine Dunham Fellowship recipient. The fall 2018 fellowship is made possible by a generous gift from Carol Corey and William Holcomb. The program, created and initially funded by Sara and Jack Burke and managed by A&E, promotes diversity in arts leadership by giving African-American students an opportunity to explore, gain experience and be mentored in arts administration. The program is named in honor of legendary dancer, choreographer, educator and social activist, Katherine Dunham. Considered one of the most successful dancers of the 20th century, Dunham founded the Performing Arts Training Center (PATC) at the Southern Illinois University-Edwardsville East St. Louis Center (an A&E grantee). Dunham taught dance, along with foreign language, cultural history and anthropology at the PATC. Brazier is an East St. Louis native. “Allena is a remarkable young woman who has a unique ability to share her perspective in a way that brings you into her space. We look forward to welcoming her to the A&E team and helping advance her commitment to improving her community through the arts,” said Cynthia A. Prost, A&E president and CEO. Brazier starts the fellowship at A&E September 4 and continues through December 2018. As the fall 2018 fellow, Brazier receives a $3,000 stipend, experience in all the critical skills needed to manage an arts organization – including fundraising, corporate relations, database management, fiscal and board management – and mentorship from current arts administrators and leaders. Brazier is expected to graduate from SIUE with a bachelor’s of fine arts degree in spring 2019. Following graduation, she hopes to open an art gallery in her hometown of East St. Louis. For more information about A&E’s Katherine Dunham Fellowship, click here.